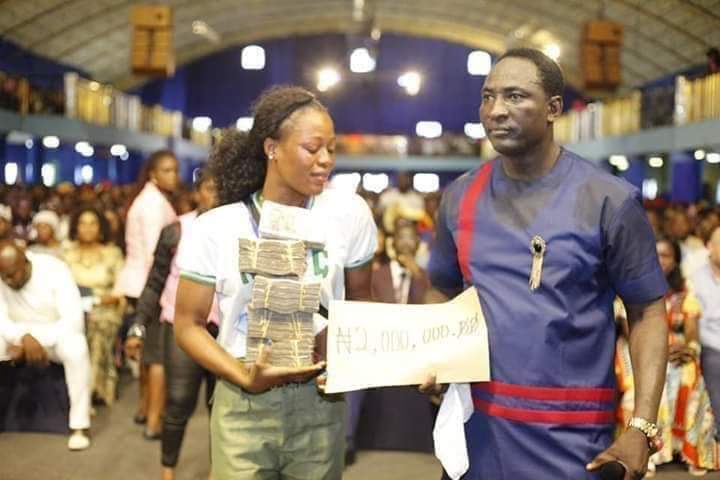 The girl Stephanie who videotaped success has been gifted 2,000,000,00 (Two Million Naira) yesterday in one of the biggest churches in Nigeria.A Facebook user posted the picture but didn't reveal the name of the church. Thank God she has been rewarded.Congratulation to her. Remember that '"A closed mouth is a closed destiny".